The recall involves A4, A5, A6, A7 and A8 sedans and Q5 and Q7 SUVs, the German transport ministry told the DPA news agency, confirming a report in Bild am Sonntag. The recall affects 77,600 vehicles in Germany, Bild am Sonntag reported. The KBA is threatening to withdraw type approval for the latest generation of Audi's A8 range-topping sedan, Bild am Sonntag said. Audi said the models had been included in a voluntary recall of 850,000 diesel vehicles with V-6 and V-8 TDI engines announced in July. "The engine control software for the vehicles in question will be completely revised, tested and submitted to the KBA for approval," Audi said in a statement. 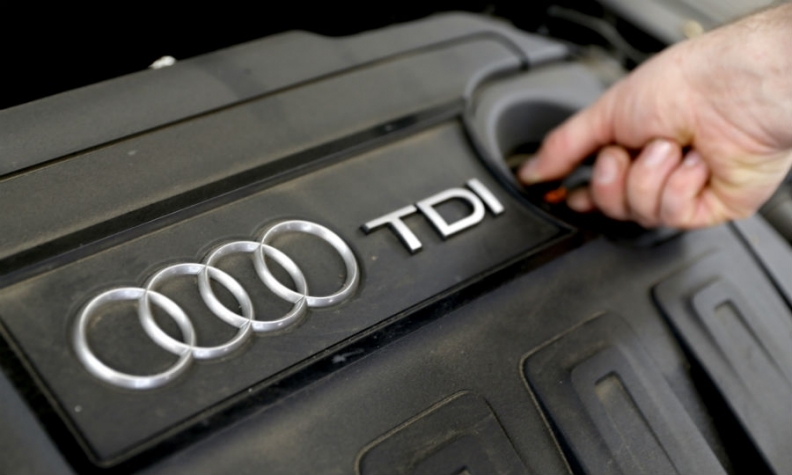 Audi said it has been examining its diesel cars for potential irregularities for months in close cooperation with the KBA. "As part of this systematic and detailed assessment, the KBA has now also issued a notice regarding Audi models with V-6 TDI engines," it said. In November, Audi announced a recall of 5,000 cars in Europe for a software fix after discovering they emitted too much nitrogen oxide. Parent Volkswagen Group concealed high NOx emissions from U.S. regulators in its 2015 diesel emissions-rigging scandal. VW was found to have illegally manipulated engine software so that vehicles would meet NOx emissions standards in laboratory testing but not in real-world conditions, where they could emit up to 40 times the permitted levels. Last month, Audi dissolved the task force it set up to investigate how many of its diesel cars have manipulated software.